The Youth Fitness Specialist Certification is the IYCA’s most comprehensive course for trainers and coaches who want to help young people ages 6 to 18 become fit, embrace healthy lifestyles and maximize sports performance. 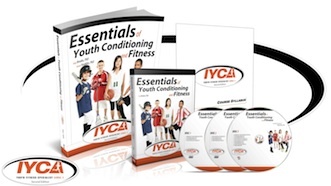 What Is The IYCA Youth Fitness Specialist? The IYCA’s Revolutionary Approach To Long Term Athletic Development. The IYCA Youth Fitness Specialist provides you with a complete approach to fitness and athletic development that takes into account the real world considerations of kids ranging from the differences in needs of 8 year olds and 18 year olds to the ever increasing challenges of early sport specialization. Contributions From Some Of The Industry’s Top Coaches. We’ve enlisted some of the world’s leading youth fitness professionals like Dave Gleason, Kim McCollough, Mike Robertson and Wil Fleming as contributors to this course to share their insight and experiences gained from coaching thousands of young athletes and provide you with real world insight into what actually works when training kids. Who Should Get Youth Fitness Specialist Certification? If you’re coaching or training young people, you’re dealing with these considerations and many others. The Youth Fitness Specialist Credential will better equip you to serve those kids and help you enhance their fitness and performance. What Are The Benefits of Getting the Youth Fitness Specialist Credential? 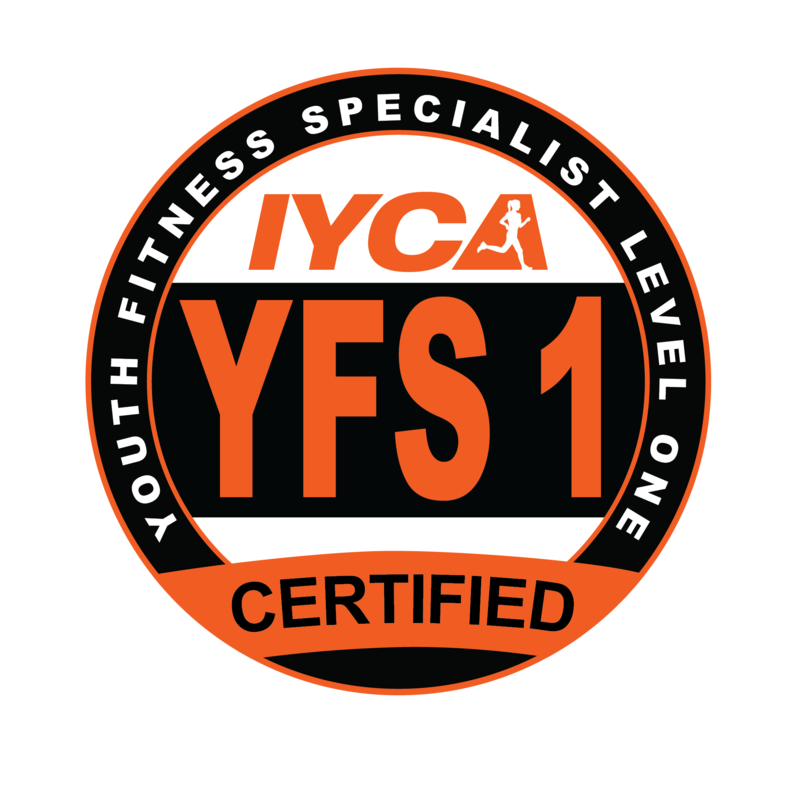 While there are many other benefits to the IYCA Youth Fitness Specialist, the bottom line is this: it will allow you to become a specialist in a high need, high demand field and allow you to better help the kids you serve. Once you register for Youth Fitness Specialist Certification, you will be directed to create your IYCA account if you do not already posses one. You will be shipped your Youth Fitness Specialist Materials and should receive them within 10-14 business days. You may take up to one year to complete your exam, and review the materials as often as you like. You will immediately know the results after you take your test. Most students finish within 2-3 weeks. 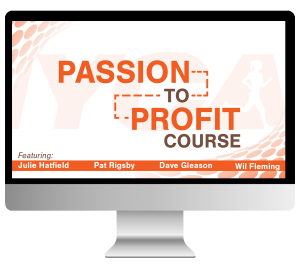 Register Now And Become an IYCA Youth Fitness Specialist Plus receive our Passion to Profits Course as a BONUS! When you register for the YFS-1, you will be immediately directed to create your personal IYCA account. Once you login to your IYCA account you will gain immediate access to your Youth Fitness Specialist Exam and step-by-step instructions how to successfully complete the course. You will also receive an email confirming your order. You will also be shipped your YFS-1 Textbook and 2 DVD Set within 10-14 business days. Typically 2-3 weeks upon beginning studying is average. If you have completed other IYCA programs, you can likely complete the program more quickly. When you enroll, you will also be given access to take your exam online. There are no additional fees to take your test. You have 365 days following your enrollment in the Youth Fitness Specialist program before you must test. You are given one attempt to pass the test. You will have 2 hours to take the test. It is 100 questions, primarily multiple-choice. If you do not pass the exam you can purchase a retest for $50. Are any study materials mailed to me? After you successfully pass your test, we will register you in our global database as a Youth Fitness Specialist. It can take up to two weeks for your certificate to be mailed to you. Do I have to meet any prerequisites for the YFS-1? Yes. You must be 18 years of age and have a high school diploma or equivalent. IYCA professionals come from all corners of the World. With the online learning platform it’s easier than ever before to study for and earn an IYCA Credential. You can study at your own pace and complete the exam no matter where you reside. The only consideration is that all materials are in English. Is YFS1 endorsed by PD:Approval or recognized by REPS? Yes, YFS1 is endorsed by PD:Approval and recognized by REPS. 7 CPD points will be awarded for successful completion.